As a member of the Melbourne Family Wealth Management team, Dinesh Kumar provides advice based on the Investment Committee views and personalises it to suit his clients’ individual goals, risk profile and circumstances. For Dinesh, building trust and rapport with clients and connecting with them on a personal level is a very important and enjoyable part of the role. With most of his clients in the later stages of their working life and moving into retirement in the next three to five years, they are focused on preserving capital and generating income. According to Dinesh, it’s important to separate emotions from investing and make decisions based on the fundamentals. 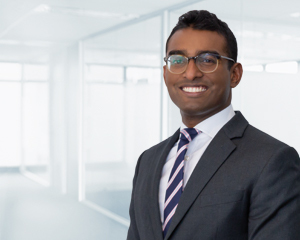 Dinesh says Dixon Advisory clients benefit from receiving consistent and quality advice from the Investment Committee which is tailored to their circumstances. Before joining Dixon Advisory, Dinesh worked with Deutsche Bank and KPMG, both in Malaysia. Dinesh has a Bachelor of Commerce with majors in Finance and Accounting from the University of Melbourne. He has Securities and Managed Investments Accreditation from the Stockbrokers Association of Australia and a Graduate Diploma from Kaplan Professional Australia.